Having just returned from an incredible excursion in Italy, the sights, sounds and tastes of Rome still linger. I love Rome. The people are typically grumpy and somewhat rude, there is way too much trash just lying around, the place is overrun with tourists and graffiti seems to be the norm, but I just cannot help but love Rome. Let’s start with the bad news - golf. SYNCExcursions operates luxury golf trips to a variety of destinations all over the globe and our clients typically love golf, food and wine. As a result our trips always include a little (or a lot) of each. If you travel to Italy for golf I would avoid playing in Rome. Yes, I know the Ryder Cup is coming in 2022, but the course you will play has nothing to do with what the tour stars will experience at Marco Simone. We also played at Olgiata which is a good golf course and in decent condition, but nothing special. Keep the clubs in the travel cover until you hit the north or Sicily! This might just be my new favorite restaurant! Energetic service, a wine list to die for and the food you’ve been dreaming about. All the Roman classics with wine pricing that encourages you to order another bottle. This place just feels special. Attentive service, another solid wine list (although quite a few selections were unavailable) and exceptional traditional Roman fare. This ristorante has an upscale feel to it and rightfully so. We went twice in a six day period and thoroughly enjoyed each visit. We were warmly greeted by the wait staff for our second visit - always a good sign. Make sure you try their Carbonara and the Eggplant starter. Excellent wine list and service! 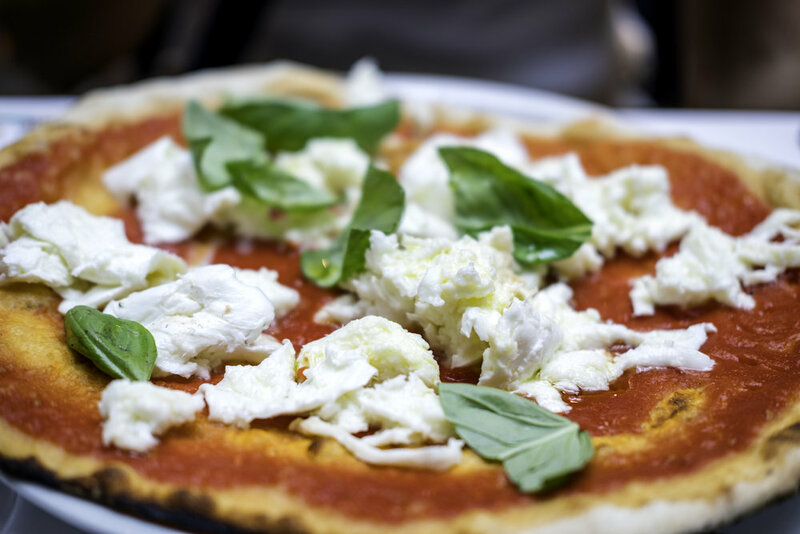 We opened up our Rome dining with lunch at Emma and were not disappointed. Fabulous suppli for starters followed by the pizza of your dreams. All washed down with a superb, and reasonably priced bottle of 2016 Monsanto Chianti Classico. Highly recommended. The only way to book is online and I found the process efficient and simple - a rarity for Roman reservations. We had a group of six in the wine cellar and the food, service and wines were outstanding. We did have one horrible dining experience - at Il Bacaro. The place seemed lovely, but after two hours we had not received our meals and opted to leave. On a side note - if you are interested in taking a cooking class in Rome (and you should) I’d strongly recommend Andrea Consoli and his Cooking Classes in Rome. Our group of twelve spent five fun filled hours with Andrea as he demonstrated how to prepare, cook and enjoy a number of Roman classics. On your second early rise head for Trevi Fountains, the Pantheon and the Spanish Steps. Don’t worry, they’re all within a few hundred yards of each other. You’ll be amazed to notice that at this early hour these hot spots are ‘tourist free’ zones and you’ll have the place to yourself. In September 2019 SYNCExcursions will be traveling to Portugal for more of what we experienced in Italy. Great food, wine and I’m certain better golf than in Rome. For more details please contact Terri at terri(at)syncexcursions.com.